WASHINGTON --- The State Department has made a determination approving a possible Foreign Military Sale to Germany of three (3) C-130J-30 aircraft and three (3) KC-130J aircraft for an estimated cost of $1.40 billion. The Defense Security Cooperation Agency delivered the required certification notifying Congress of this possible sale today. The Government of Germany has requested to buy three (3) C-130J-30 aircraft with four (4) each Rolls Royce AE-2100D turboprop engines (installed); three (3) KC-130J aircraft with four (4) each Rolls Royce AE-2100D turboprop engines (installed); four (4) Rolls Royce AE 2100D turboprop engines (spares); and eight (8) Link-16 MIDS Terminals (one (1) per aircraft, plus two (2) spares). Also included are eight (8) AN/ALE 47 Electronic Countermeasure Dispensers (1 per aircraft, plus 2 spares); eight (8) AN/AAR-47A(V)2 Missile Warning Systems (1 per aircraft, plus spares); eight (8) AN/ALR-56M Radar Warning Receivers (1 per aircraft, plus 2 spares); eight (8) MX-20 Electro-Optical/Infrared Imaging Systems (1 per aircraft, plus 2 spares); AN/APX-114/119 Identification Friend or Foe (IFF) Mode 5; Joint Mission Planning System (JMPS); secure communications; precision navigation and cryptographic equipment; night vision devices; support and test equipment; publications and technical documentation; personnel training and training equipment; U.S. Government and contractor engineering; technical and logistics support services; and other related elements of logistical and program support. The total estimated value is $1.40 billion. This proposed sale will contribute to the foreign policy and national security of the United States by helping to improve the security of a NATO ally which is an important force for political and economic stability in Europe. The proposed sale will increase the airlift, air refueling, and air drop capabilities of the German Air Force. Providing these capabilities to the German Air Force will greatly increase interoperability between the U.S. Air Force and the German Air Force as well as other NATO allies. 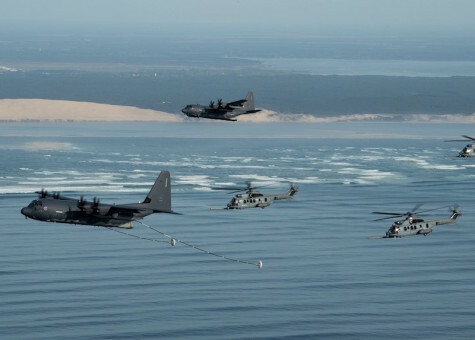 The German Air Force will use these aircraft to conduct airlift, air refueling, and air drop missions as part of a French-German allied squadron based in Evreux, France. This common air transport squadron will have unrestricted exchange of aircraft, air crews, and maintainers, as well as technical and logistical support based on a common pool of spare parts and a common service support contract. These exchanges would be carried out pursuant to separate authorizations from the United States. 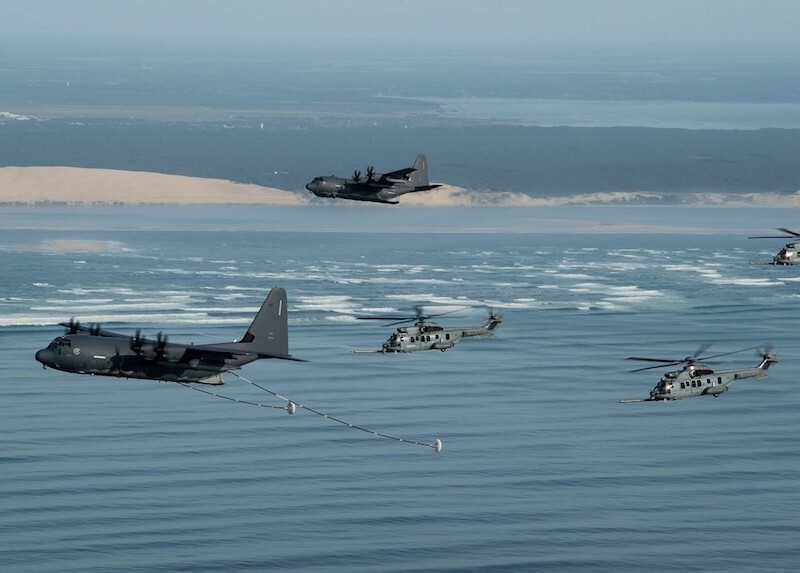 The C-130Js will provide crucial air refueling capability to German and French fighter and light transport aircraft, as well as helicopters. Germany requests these capabilities to provide for the support of its deployed troops, regional security, and interoperability with France and the United States. Germany will have no difficulty absorbing these aircraft into its armed forces. The prime contractor will be Lockheed Martin, Ft Worth, TX. There are no known offset agreements proposed in connection with this potential sale. Implementation of this proposed sale may require multiple trips but no long-term stationing for U.S. contractor representatives to Germany and potentially deployed locations to provide initial launch recovery, and maintenance support.